As many of you know I believe in sharing my resources, knowledge, and connections. There are so many people that help to keep me inspired and learning. First I want to mention the two flower blogs that I adore following, Amy Mcgee from Botanical Brouhaha, and Alicia Schwede and Chuck Graham of Flirty Fleurs. Both of these blogs are amazing. I assume all of my readers know that I follow those blogs because I have their badges on my sidebar, but it just occurred to me I should also tell you how much I love these spaces. When I think about how much I have learned from these industry leaders I am in awe. I have also included a link to a marketing workbook that Alicia has just finished. 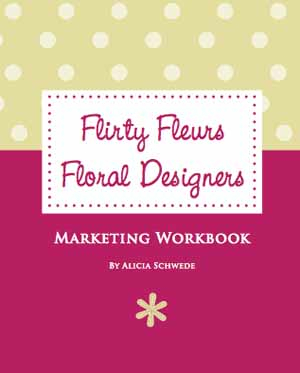 If you need help with marketing your floral design studio, I highly encourage you to WORK this workbook. The book was written as an exercise and it holds valuable information that can help your business. Today you will also see a new addition on my sidebar. I have added Francoise Weeks to my list of seriously amazing resources. Francoise is an incredible teacher and she is fast becoming a very good friend. In fact yesterday we agreed that we would teach a class together in her studio in Portland. The class will run from Feb. 18th -20th. Please contact Francoise about the class. She is updating her class schedule to reflect our exciting news. 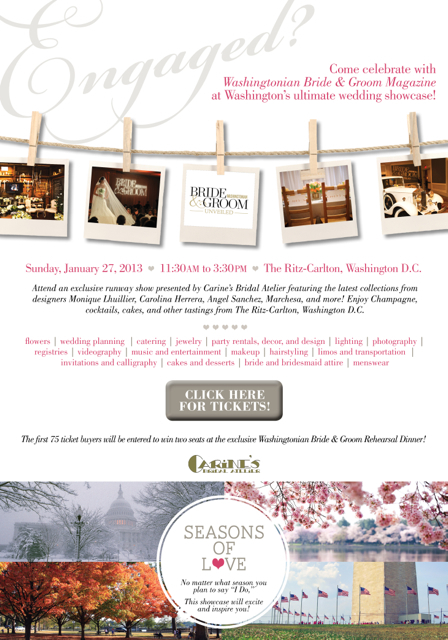 For the first time ever I am participating in the Washingtonian Bride and Groom bridal show. I hope I will see you there. This is sure to be inspiring!! I am so excited…..just ordered the book from Alicia. Love your “Wild flowers” article.. it’s so true! I’m so glad you pointed out that while the style is lovely, it isn’t less expensive. So many people have the wrong idea about that! The Marketing Workbook is great!! Love it!! !